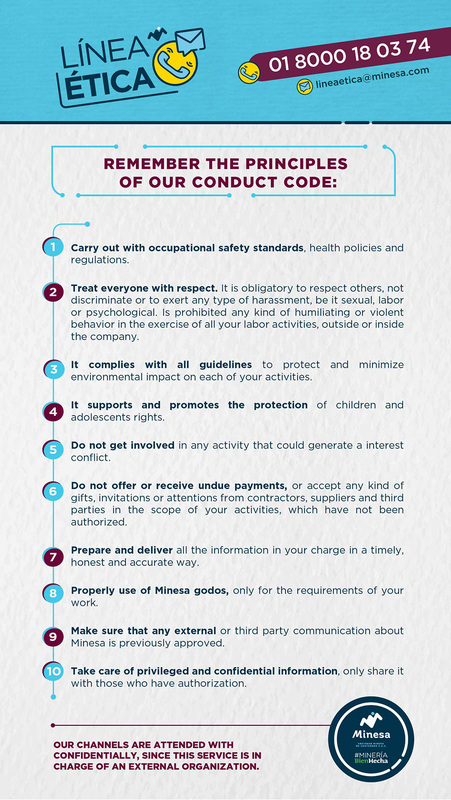 Minesa is commited to maintaining integrity in everything we say, think and do – always acting in an ethical manner. We have developed a series of corporate policies to ensure that our actions, interpersonal relationships and partnerships with other companies, communities and governments are in line with our commitment to integrity. 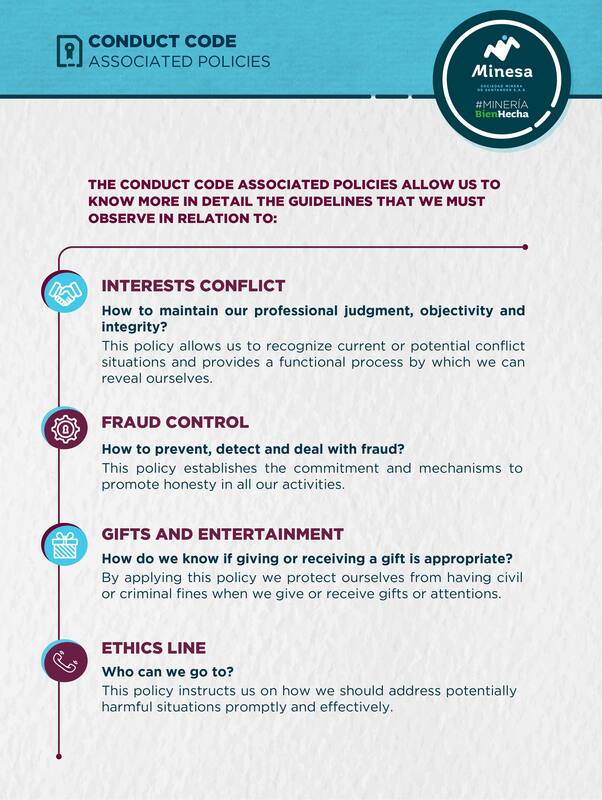 The Code of Conduct is a guide to our actions as part of MINESA, which guides collective behavior and frames it within a set of principles on which we must act ALWAYS. This is a beacon that guides MINESA’s relationships with its environment, the interactions between collaborators, contractors, vendors and its different interest groups. By applying and adopting these principles in everyday activities we are demonstrating that we belong to an organization that is integral, responsible and transparent and that we act motivated by the desire to always do the right thing. If you want to fill an Ethical complaint please call our Trust Line 01 8000 18 03 74, send a message to lineaetica@minesa.com or go to this link.